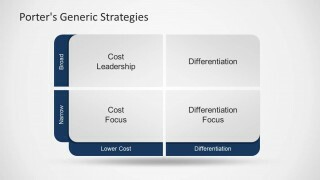 Porter’s Generic Strategy PowerPoint Template. 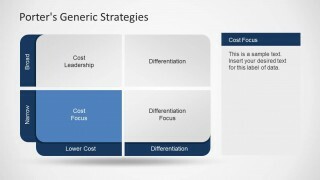 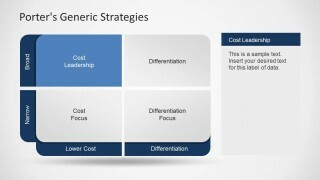 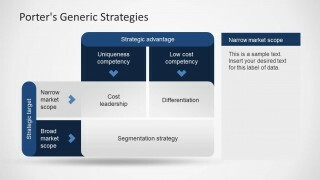 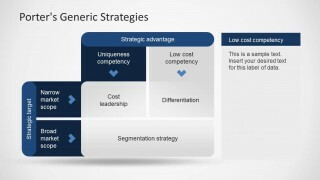 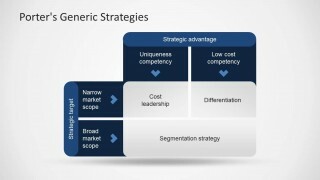 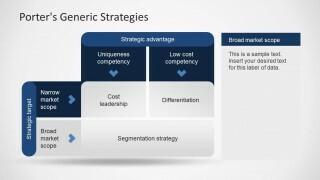 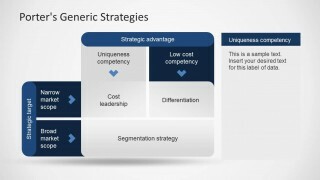 Michael Porter defined the Generic Strategies as a category scheme consisting of 3 general types of strategies that are commonly used by businesses to achieve and maintain competitive advantage. 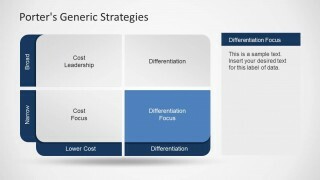 The strategies are defined along the following dimensions: strategic scope and strategic strength. 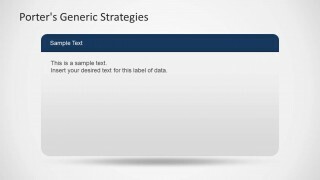 This Generic Strategy PowerPoint template contains useful slide layouts and diagrams that you can use to represent the Generic Strategies in PowerPoint presentations. 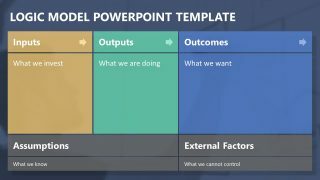 The Porter template for PowerPoint can help you to prepare awesome presentations in Microsoft PowerPoint using the Generic Strategies concepts and describing the Cost Leadership or Differentiation strategies. 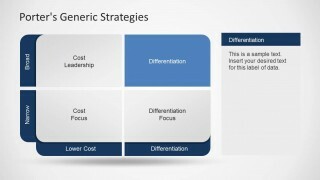 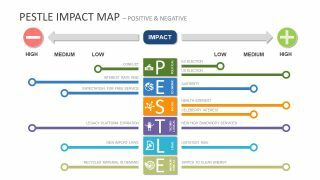 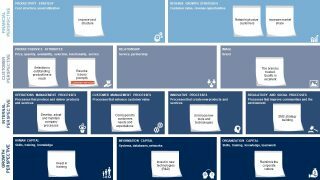 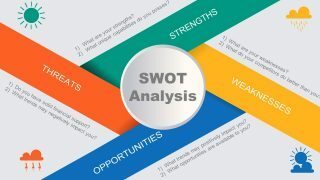 Inside this Generic Strategy PowerPoint Template you can find useful slide designs with the Porter’s generic strategies matrix diagram created with PowerPoint shapes.